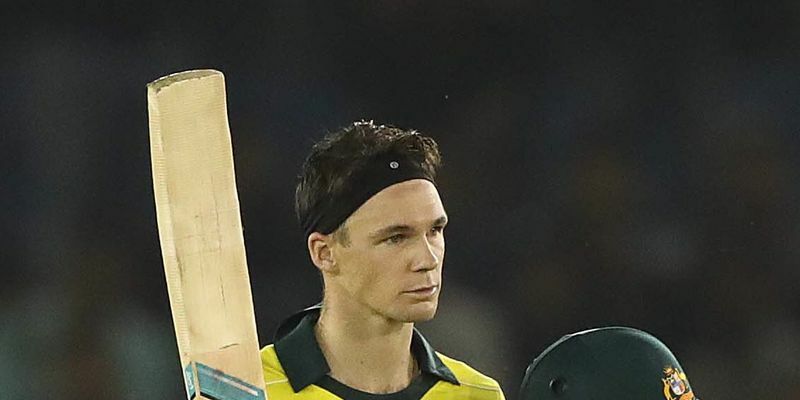 Peter Handscomb has credited Chris Rogers for working on his technique which helped him formulate an ODI batting resurgence that was on show in Mohali yesterday. After losing his spot in the Test side, Handscomb is just happy that he has been able to relive the dreams of playing for Australia. Ashton Turner might have changed Australia’s fortunes with a crazy 84, which led Australia to their biggest successful run chase against India, but at the heart of it, Peter Handscomb’s maiden hundred was one of the major success formulae last night in Mohali. However, it was unthinkable a three months ago when he was dropped from the Australian team after scoring just 68 runs in four innings. Self-doubt crept into his mind, and he lost the confidence a bit, but Chris Rogers ensured that he remained strong enough to come out of the situation. JLT One-day Cup came as a turning moment for the Victorian as he scored 361 runs in eight innings to find himself in the scheme of Australian selectors for the upcoming World Cup. After finally finding his feet at the international level, Handscomb was quite happy about it and credited Rogers for the resurgence. “I am pretty happy about today’s knock. I had a stop-and-go start in ODI cricket and getting an opportunity at such a stage means that you have to take it. It was nice to get a hundred today in tough conditions and feels special. “I have been working on my technique with former Test opener Chris Rogers since the last one year and felt I lost my straight drive and cover drive prior to that. We worked upon the basics and going back to some things in my technique. Cricket is still a fickle game and one has high and lows during a career. To get dropped from the Test team and now pushing my case for white-ball cricket and this century is good for me,” Handscomb said in the press conference, reported Indian Express. Australia will have a hectic season in the United Kingdom with World Cup, Ashes series and multi-format Australia A tour coming up from late May. Handscomb now has a real chance to make it to the 50-over side for the mega event and will definitely be a part of the A tour, if he doesn’t find a place in the Ashes campaign. While Test cricket is still the priority for him and he wants to come back to Australia’s red-ball plans soon, he gladly took the Mohali knock, for it changed the way Australia looked at him. "It's a fickle game. I'm just pumped to be in an Australian team. Obviously, it was shattering to get dropped from the Test squad, it was something I'd been priding myself on, trying to be a strong red-ball player for Victoria and always pushing my case for Australia. "So that hurt. But on the flipside, to now be pushing my case in white-ball (cricket), it's a beautiful feeling and how quickly the highs and lows change within cricket," Handscomb concluded.